The University of Southampton is pleased to announce the appointment of Professor Judith Petts as Pro-Vice-Chancellor (Research and Enterprise). 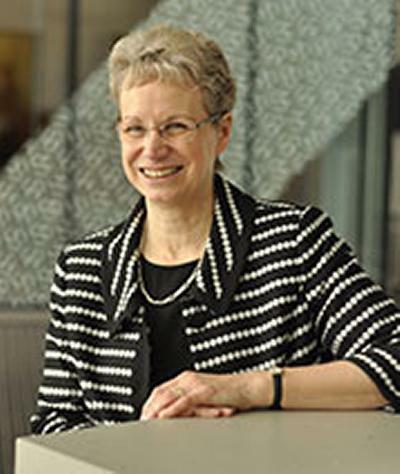 Professor Petts became Dean of the University’s Faculty of Social, Human and Mathematical Sciences in October 2010 following her role as Pro-Vice-Chancellor, Research and Knowledge Transfer, at the University of Birmingham. She holds the Chair in Environmental Risk Management. She will commence her new role at the University on 3 January 2014. Professor Petts succeeds Professor Philip Nelson who will remain at the University to continue his world-leading research in acoustics. She takes up the role after a highly successful year in which the University of Southampton achieved a major milestone by surpassing the £100 milion income threshold for research grants and contracts. This is the first time in the University’s 60-year history that this important landmark has been reached. “I am delighted to confirm Professor Petts as our new Pro-Vice-Chancellor,” said Southampton Vice-Chancellor, Professor Don Nutbeam. “Judith brings a wealth of experience to all elements of the role - supporting our world leading researchers, developing the next generation of scholars, and building on our strong history of business collaboration and knowledge transfer. “My sincere thanks go to Professor Nelson who has been instrumental in developing and leading our very successful University-wide strategy for research and enterprise over the last eight years and, more recently guided our submission to the 2014 Research Excellence Framework,” Professor Nutbeam continued. A geographer by background, Professor Petts’ research and mode of working has always been intensely interdisciplinary. Over 30 years her research has made important contributions in the broad area of risk management including environmental governance and policy-making, environmental assessment, science-society relationships, and public perceptions and engagement. Professor Petts has undertaken a wide range of policy advisory and consultancy roles nationally and internationally, including in the UK for the Environment Agency, Department of Health, Health and Safety Executive, BIS, DEFRA and DECC and both House of Commons and House of Lords Committees. She is currently a member of Defra’s Science Advisory Council and co-chairs the BIS Sciencewise Steering Group. She was a member of the Royal Commission on Environmental Pollution (2005-11) and of NERC Council, 2000-6. In January 2012, Professor Petts was appointed Commander of the Order of the British Empire (CBE) for services to scientific research. “I am delighted to take such a fundamental role for the University, as an internationally leading research institution, where innovation and impact not least from globally relevant interdisciplinary research are so important and successful,” said Professor Petts.